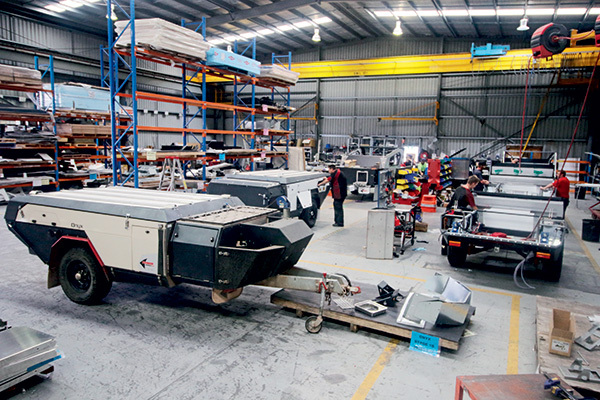 Twenty years ago, a Perth battler named Mike built his first camper trailer. It was quite a primitive affair by today’s standards, constructed with a steel chassis and a timber body, but it marked the birth of what is now an industry leader: Pioneer Campers. 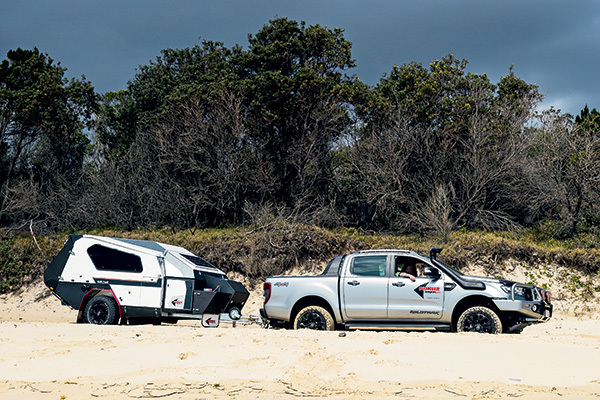 Despite its basic construction popularity was immediate, particularly in WA where serious tourers demand the tough offroad credentials of a rugged camper trailer and are not so bothered about creature comforts. Before he realised it, Mike had created a monster with a quickly growing empire including 30 dealers, but unfortunately his logistics failed with demand swiftly overtaking supply. Eventually, in 2001 a group of creditors saw the potential for the company and gained ownership. The brand maintained its reputation for tough reliability in harsh offroad environments with a range of models whose names reflected outback icons such as the Prospector, the Argyle, the Gascoyne and the Longreach. Pioneer has always prioritised bringing adventure to its thousands of customers with innovative and unique construction. Even very early models have now traversed many hundreds of thousands of kays across the behemoth that is Australia. In a parallel universe back in Melbourne, the well-respected steel manufacturing company ACTCO Pickering had developed an enviable reputation for engineering excellence since the 1970s. The company produces a huge variety of components for utility services, rail, aero, electrical and military projects, as well as its own successful service body division. Yet there was a yearning to manufacture whole goods instead of componentry, so director Andrew Crank was charged with the task of searching out new product proposals. 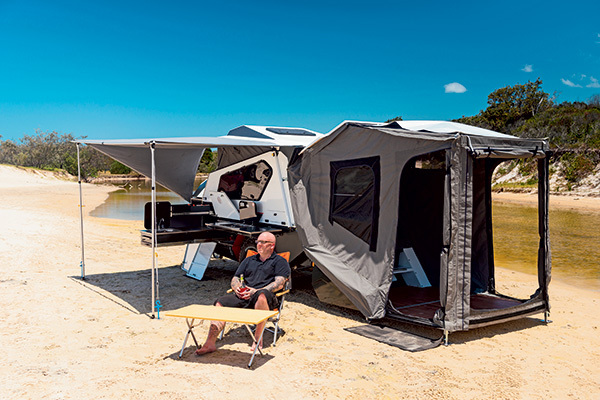 With RV giant Jayco just across the road from its Dandenong base and recognition of the booming caravanning and camper trailer industry, Andrew went in search of a product that would suit its manufacturing ideals. He found Pioneer, a company in need of a new direction with a well-known and highly respected range of products that fitted the business plan. 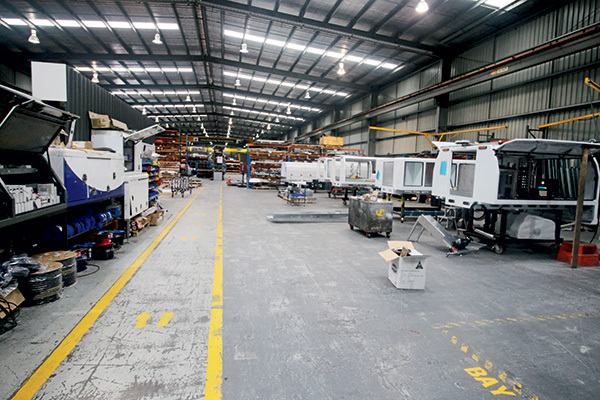 In late 2011, ACTCO Pickering purchased Pioneer and moved the product range to Dandenong, beginning a new chapter with an excited Australia-wide dealer network, a passionate design and development team and decades of expertise in metal fabrication to refresh the existing model range. Its business model is based on improvement, innovation and expansion. Its company motto says it all, “In Front – Outback”. I sat down with ACTCO Pickering’s director, Andrew Crank, and Pioneer’s national sales manager, Scott Forbes, to get the whole story. CTA: What is the ACTCO Pickering company structure? ANDREW: ACTCO Pickering has been a major component and service body manufacturer since the early 1970s. We originally targeted tradies service bodies but grew to component manufacturing, which eventually comprised approximately 60 per cent of our business. I became one of four directors in 1999 and was immediately tasked with new product development of whole goods. Whilst we were, and still are, happy to make parts for others, we wanted a firmer grasp on our own destiny through whole goods, and hence in 2000 introduced our new brand of “Ridgeback” service bodies. Success followed with steady market growth. We are currently perhaps the third largest panel body manufacturer in Australia and employ between 70 to 90 local workers. 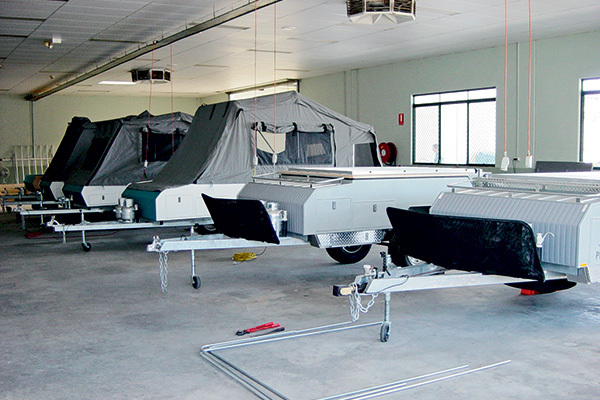 CTA: It sounds like a successful formula, but why a future with camper trailers? However, caravan construction didn’t really suit our metal based manufacturing prowess, but camper trailers are different. The large import market was in its infancy and softfloor campers weren’t appealing. Our company ethic is to produce efficient and innovative top-end products, and hence we knew the game we wanted to be in. We want to be at the top, not a bottom feeder battling with the masses. ANDREW: I carried out intensive research and visited a number of shows assessing the market and the competitive products. The innovation in the industry excited me and the growth in the Australian recreational market allowed opportunity. I gradually narrowed the field to six targets, but on approach only two were interested in discussing a takeover. The best of these was Pioneer, and the others have now become our respected competition. Pioneer not only presented a terrific brand, they had a reputation as an honest, well founded, functional and, most importantly, bulletproof camper range. CTA: When did you take over Pioneer? ANDREW: We purchased Pioneer in 2011 and continued with the product and model names, and still do except for the Prospector, which is discontinued. After 6-9 months of market assessment we remodelled and reengineered the entire range. I don’t mind admitting that it was a bigger learning curve than I initially considered. We employ two full time industrial designers who use state-of-the-art Solidworks 3D CAD software programming. These guys are left brain thinkers analyzing and designing products that supply optimum function and aesthetics, right down to the choice of colours. We eventually introduced the fully redesigned Generation 2 range of campers in January 2012. We learnt that, whilst the industry isn’t overly technical, the product is, and that many competitive manufacturers are assemblers and not manufacturers. In reflection Pioneer’s advanced manufacturing processes are hard to replicate. We manufacture every practical item in-house with full quality assurance and premium production techniques, only buying in appropriate componentry where needed such as stoves, fittings, hot water systems, solar charging and electrical systems. We demand only premium Wax Converters canvas with YKK zips and midge-mesh screens, but this is contracted off-site as is the “dirty stuff” like galvanizing and powder coating. CTA: You seem to promote your Western Australian heritage, why is that? SCOTT: Yes, Western Australia is still incredibly strong for Pioneer Campers. It seems that everyone’s a prospector in WA and they have extreme demands, often living in the desert for extended periods. In fact, our entry-level camper was called the Prospector, but we have since discontinued it in favour of higher end products directed at more experienced campers demanding premium construction integrity. We target our products to considered purchasers, not necessarily ‘first homebuyers’ (smiles). 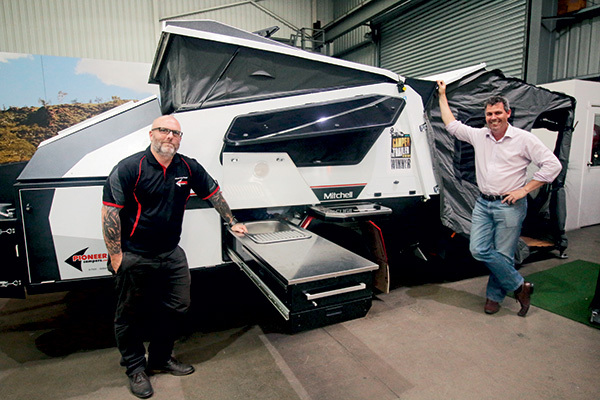 CTA: The camper trailer market is a challenging one, not only with the quantity of competitors but with the overall standard of innovation, too. Have Pioneer products met your expectations? ANDREW: We enjoy a challenge and have an appetite for it – you can’t sit back and expect to continue making sales without innovation. We are seeing a lot of the market moving to top end product. Our Gascoyne has remained top of the tree forever with the most features before the new hybrid range. We have tripled sales since 2011 and that is some accomplishment considering we eliminated the higher volume, low-end model. We still consider ourselves in our infancy but have doubled camper numbers and tripled turnover. Yes, our growth has been pleasing, but we still have a long way forward in recreational products. There are certainly more expensive alternatives but I believe Pioneer supplies exceptional value for money in premium quality, aesthetically pleasing, comfortable and well-engineered products. Our customers seem to recognize that commitment, too. You should always get what you pay for in premium products, and in future times enjoy a greater retention value should you ever wish to sell or update. CTA: Do you actively promote a close relationship with your customers? ANDREW: We will never shy away from the Pioneer story and the ACTCO Pickering ethic. We welcome customers to visit not only when considering a purchase, but right through the production process. We have continued with the product names but evolved to Gen 2 and Gen 3 improvements all the while allowing customers to “build your own” with an extensive list of models and options including the choice of six different kitchens, four canvas alternatives and six colour schemes. Once an order is confirmed, customers are updated on the entire construction progress, which involves seven workstations in 10 days. Our customers often watch the whole unit being manufactured. They receive a full instructional delivery regime and are welcomed back for a free service to keep the faith. We have established a sales and service dealer network right around the country with dealers in all states including WA and the NT. We have our own distribution and service outlet in Qld but don’t mind admitting that we are currently struggling to find a suitable agency in NSW. However, we honestly believe that having no dealer is better than having a bad dealer so the search continues and we handle all enquiries from either Melbourne or Brisbane. We are also pleased to announce a new dealership at Mt Barker, SA. 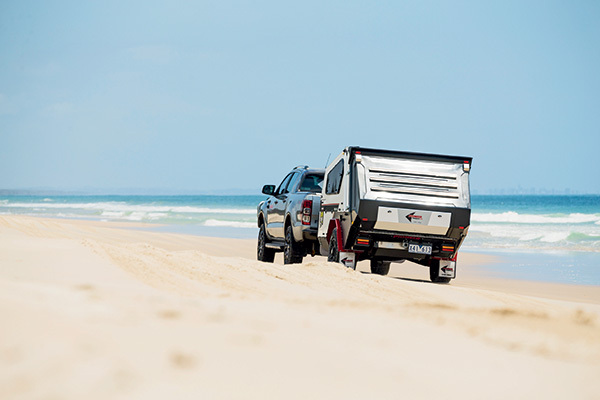 CTA: The new hybrid model, the Mitchell, took out the divisional honors in this year’s Camper Trailer of the Year against stiff competition. Please tell us more about its development. ANDREW: In 2013 the Pioneer team embarked on its next big challenge, to take on an area of the hybrid market and make it our own. The result was the Pioneer Mitchell, released in 2015 and named after one of Australia’s most famous explorers, Thomas Mitchell, a perfect example of a great pioneer. We thought about offroad caravans but our next obvious move was still in camper trailers, with a premium hybrid. It took our experienced designers a full 12 months to design the product. Everyone was included in its prerequisites including focus groups from existing customers, dealers etc. We built demos and prototypes and carried out an extensive practical testing regime around the country before release. The result is an enormous success, helped along by the peer acknowledgment from the reviewers at the CTOTY competition. CTA: Scott, you are a relative newcomer to Pioneer Campers, what is your background? SCOTT: I am simply a camping and travel tragic; in fact my whole family loves it, too. Whilst my work history evolved from the transport industry, my RV development started just like most of us with the basics of a tent and campfire. I eventually put my toe in the camper trailer water with a cheap import and ended up working for the company to get into the industry. I quickly developed a taste for more high-end campers, and actually purchased a new Mitchell myself from Pioneer. I very much enjoyed my purchasing experience with Pioneer, as well as the relationship with their former sales manager, Mark Hawkins. Mark actually approached me with the view to take on his position as he moved on to another pasture, so here I am. The RV industry is certainly a trust-based market; Andrew makes it and I sell it! CTA: So what does the future hold? ANDREW: Pioneer has now grown eight fold since 1999, and we are committed to continue to evolve to bigger and better things, so stay tuned! This year marks the 20th anniversary of the Pioneer Campers brand in Australia. We acknowledge those who blazed a path, we celebrate our Pioneer Family and our great fortune to be manufacturing campers locally, and we promise to keep living our company motto, “In Front – Outback”.